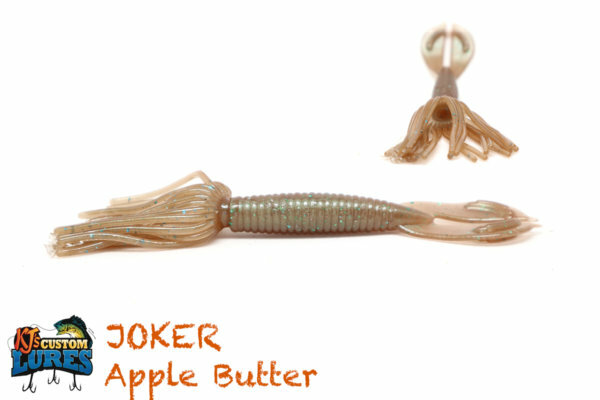 This 5.5” Senko styled bait is fused with just the right amount of salt for texture and flavor. 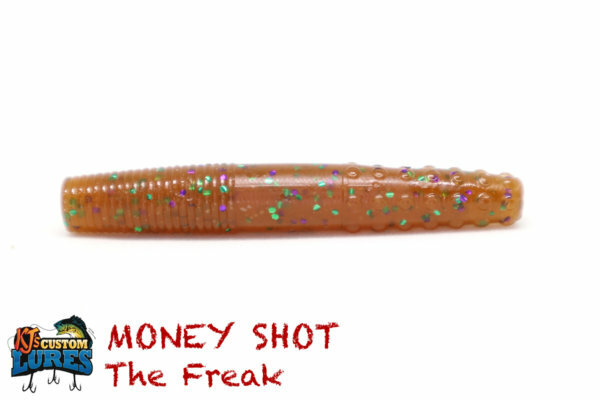 Known as the bait you can’t fish wrong! 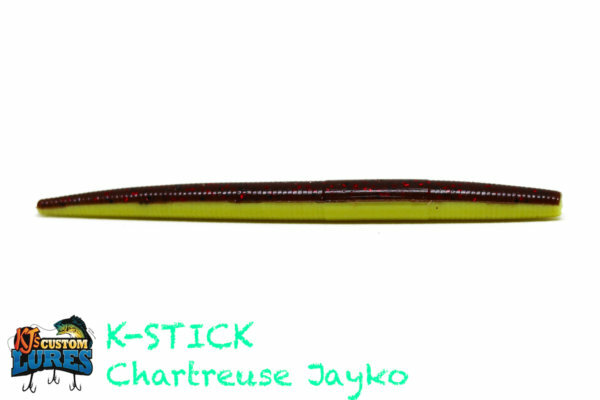 Jay-Ko is our signature color and does wonders! 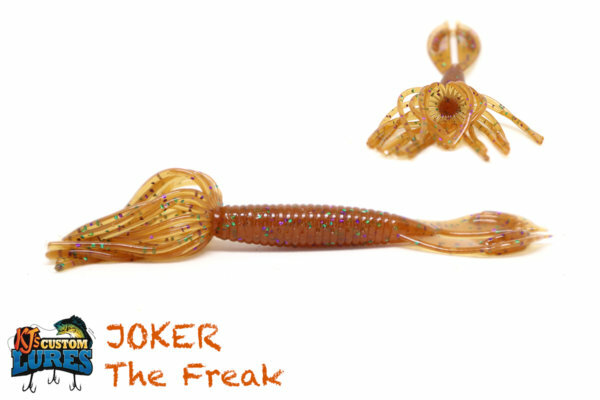 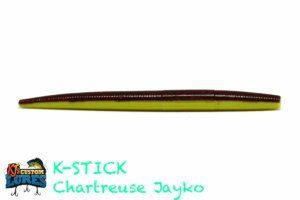 Being a BIG Senko style angler I have found myself looking for a company that builds to last more than a single fish. 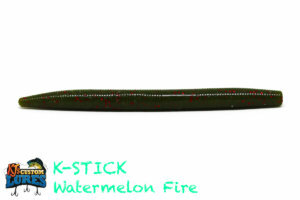 With Kjscustomlures K-Stick I can get way more use out of a single bait than before!! 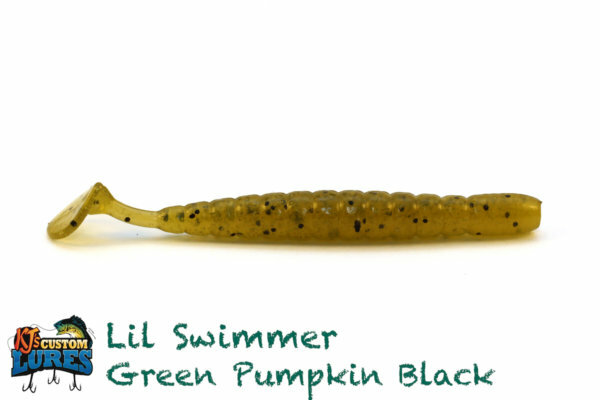 Largemouth Bass, Smallmouth Bass, Spotted Bass, Perch, and Panfish. 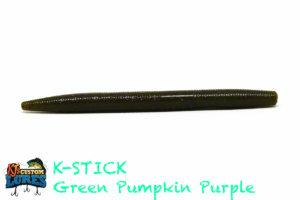 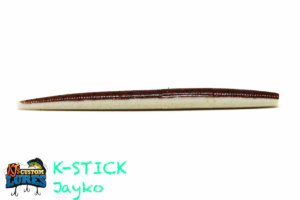 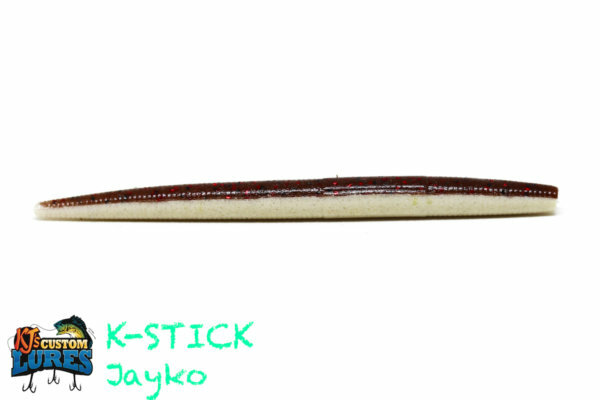 Generally speaking, you should fish the K-Stick in 10’ or less of water, but, it’s known that some may go for deeper, open water when fish are schooled up. Great around structure, standing timber, grass, pads and riprap! 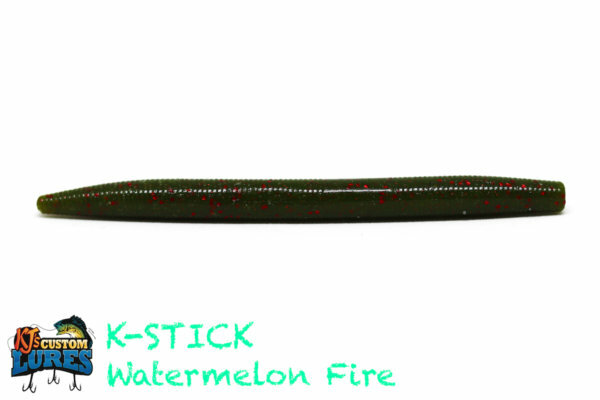 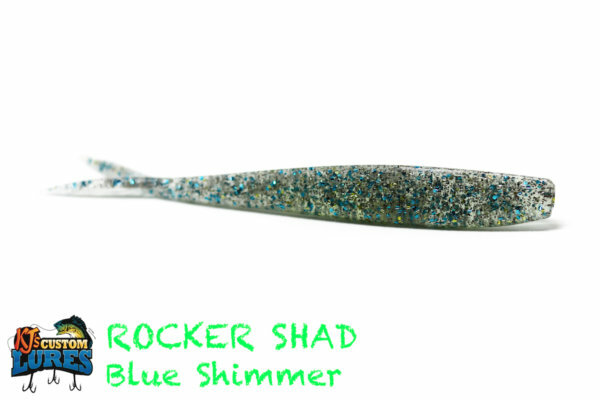 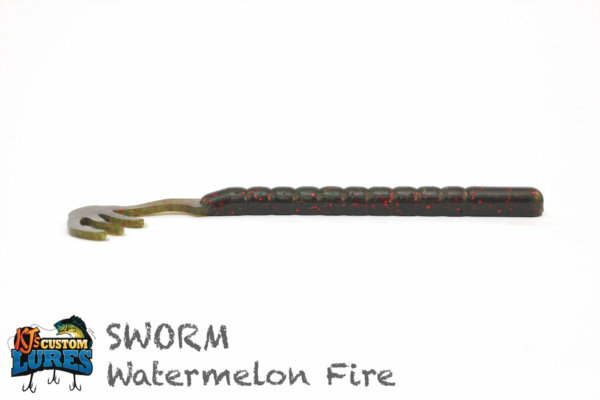 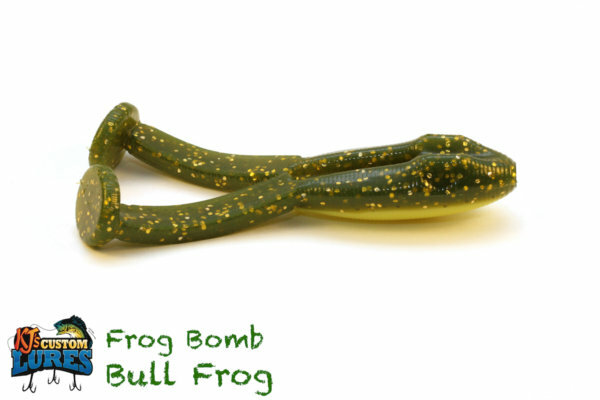 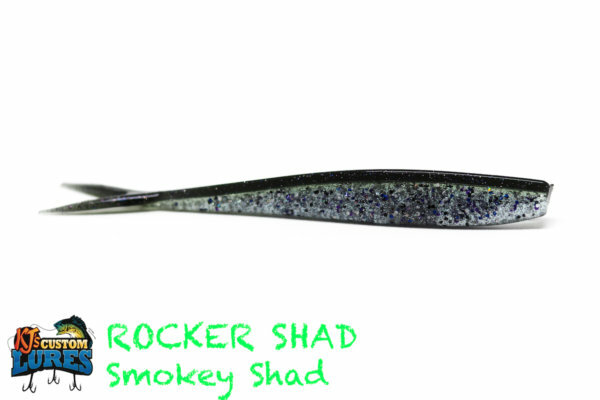 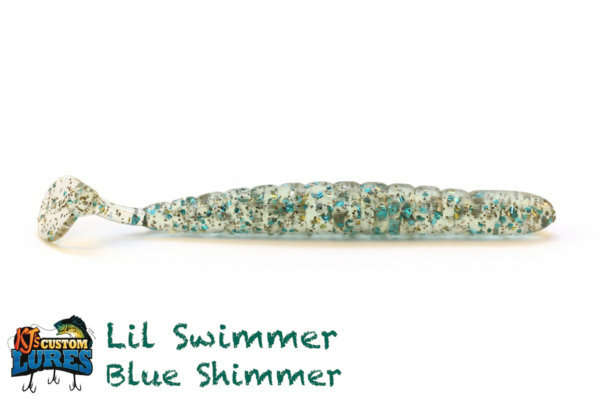 A great mid-spring to summer bait, you can work this all day long. 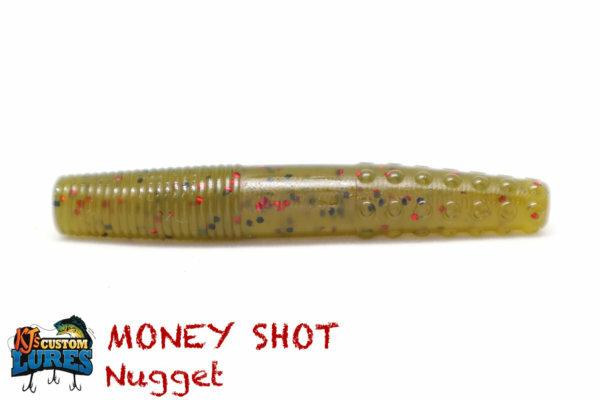 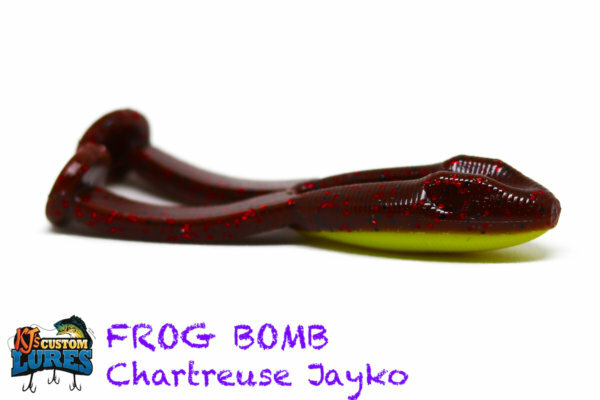 This is a great option for when the bass won’t commit to a topwater bite. There’s almost an unlimited amount of ways to rig the K-Stick, but the common ones are wacky rig and texas rigged, with or without a weight.